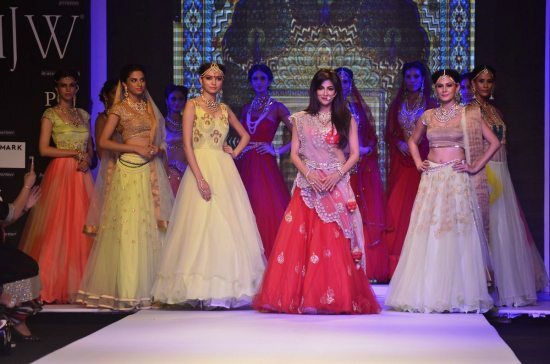 Kalki and Chitrangada look breathtaking on the ramp at the IIJW 2014. 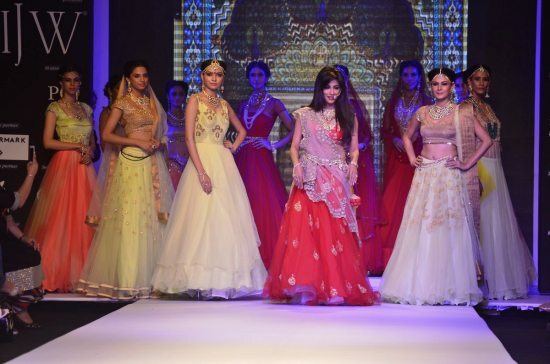 Bollywood actresses Kalki Koechlin and Chirangada Singh sizzled on the ramp at the India International Jewellery Week (IIJW) 2014. 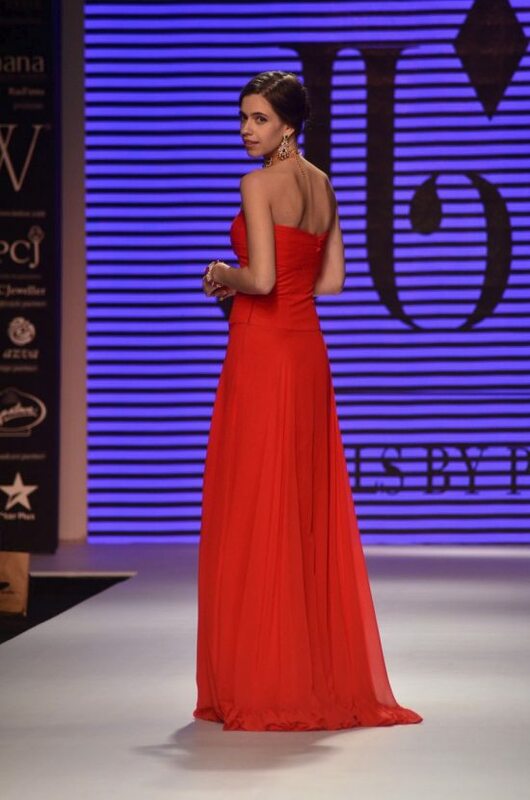 The first day of the glamorous event kicked off on July 14, 2014, at the Hotel Grand Hyatt in Mumbai. 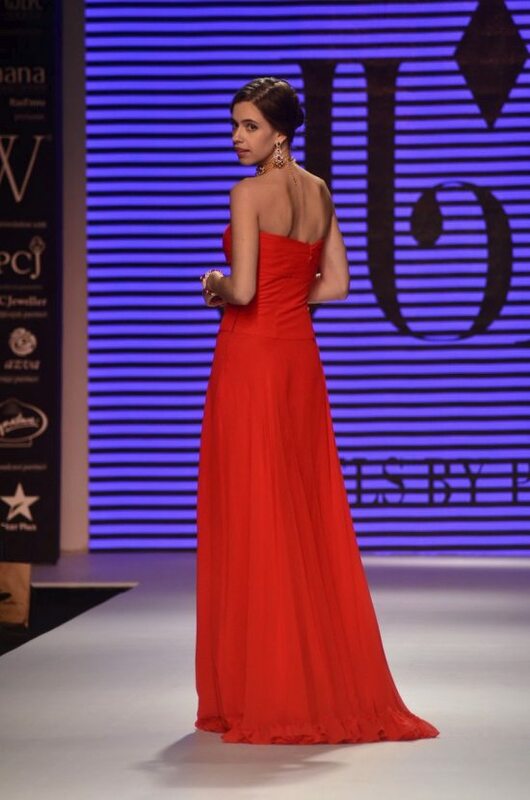 Kalki Koechlin sparkled on the ramp in a gorgeous flowing red gown adorned with a polki set designed by Preeti. 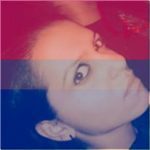 The petite figured french beauty glowed in the red and gold hues. 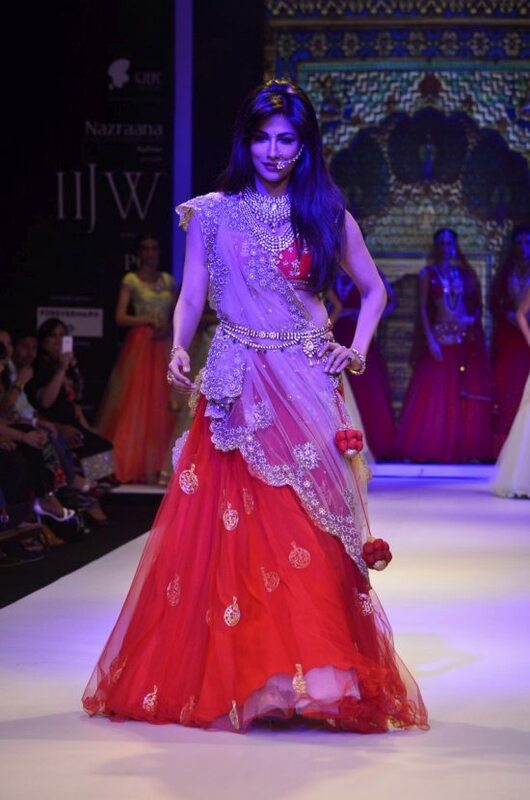 Chitrangada looked extravagant in a coral colored lehenga choli topped off with exquisite gold and diamond jewelry from designer Moni Agarwal. 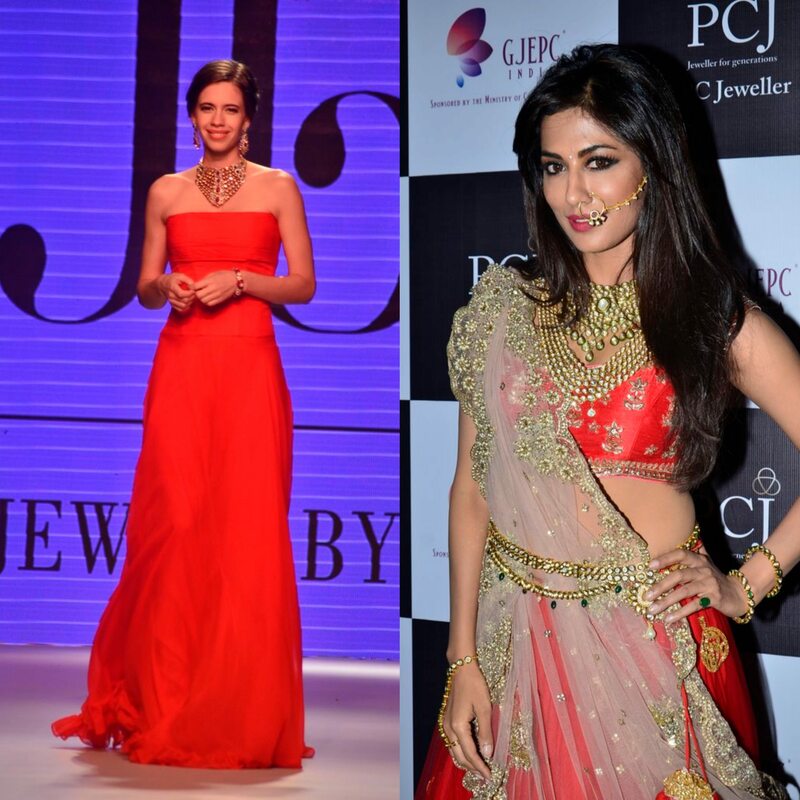 Chitrangada’s smoldering looks coupled with the heavy Indian ensemble wowed onlookers.